Sylvester Johnson spoke at the University of California, Santa Barbara on Tuesday, April 26 as part of the MultiCultural Center’s Race Matters Series. 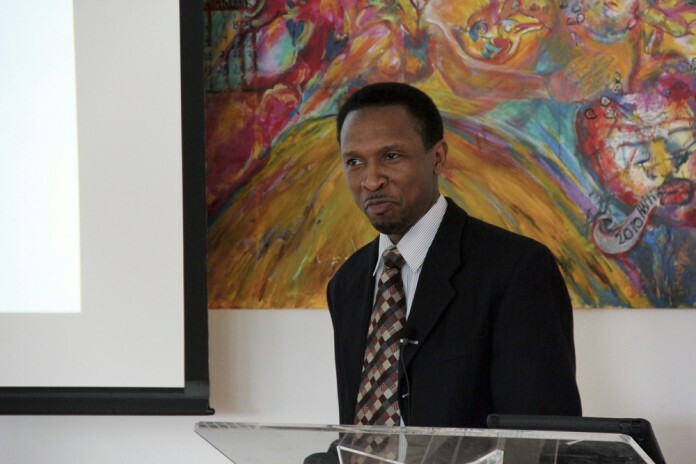 Johnson is an associate professor of African American Studies and Religious Studies at Northwestern University. His research focuses on race colonialism, religion in Atlantic geographies and studies of intelligent machines and their implication on humans. He gave a lecture entitled “Race and Necropolitics in the Age of Intelligent Machines.” Johnson discussed the challenges and implications of intelligent machines, and their use in domains ranging from healthcare and education to warfare, religion and policing. Prior to the event, Johnson spoke to The Bottom Line about his work. In a phone interview, he said he became interested in artificial intelligence and its implications on the human race by interacting with digital interfaces for a visual humanities project. Johnson commented that the future of the human race might very well be redefined as intelligent machines become more complex. According to the event description, Johnson planned to delve deeper into these questions, exploring if humans will become one with intelligent machines, if machines will threaten the existence of human, or if a new race of machine-enhanced humans will emerge to dominate the rest. Johnson’s discussion of race is relevant to recent news, including the announcement that Harriet Tubman will be featured on the $20 bill. Johnson commented on this news. However, Johnson continued to say that it is equally important and urgent for us to understand the function of symbols.